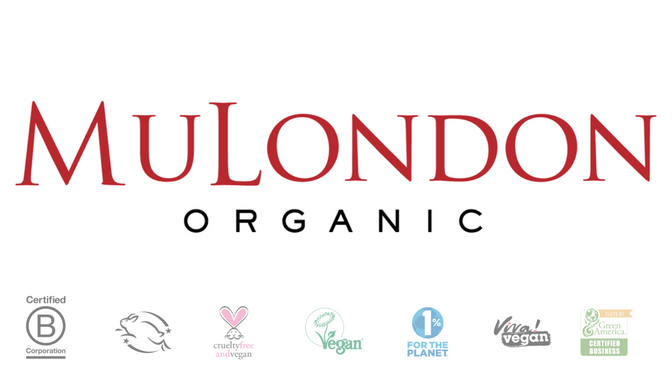 We’ve caught up with MacKenzie Proudlove, Owner & Founder of Bro Brick, to ask him what sets his line of Edmonton-based vegan & cruelty free soap apart from the rest, where you can buy them, and what he’s planning for the future. What got you interested in starting Bro Brick? I was looking for something to do that I could build with my hands. I run a graphic design firm during the day, so I was doing a lot of sitting and doing digital work. I missed the physicality of making something solid. I started out with a line of men’s candles, called “ComMANdles”. But they had limited appeal. I started making the soap, and it just took off! 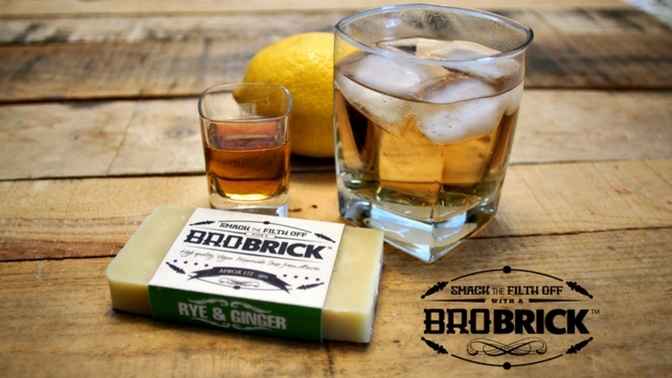 What are some of the more enjoyable aspects of being a soap maker and running Bro Brick? I really like coming up with new scents and new products. Also, I love the support Edmonton has given me. Customers, media and other business owners all want each other to succeed. It’s really the best atmosphere to be in. 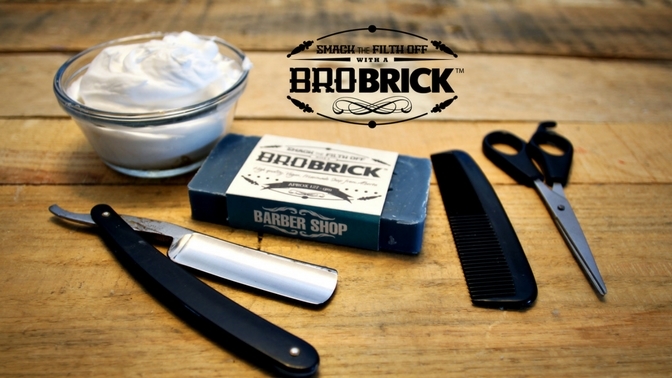 What made you decide to make the Bro Brick a vegan and cruelty-free product? Why hurt something if you don’t have to. I was given a fantastic recipe from the ladies at Creations From Eden, and although I have made some adjustments to it, I’ve never needed to bring in animal-based products. 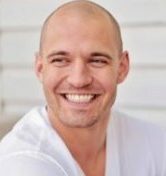 What have you learned about veganism since you started Bro Brick? How tough it is to be a vegan, there are so many products that are not available to use. I wanted the Bro Brick to be accessible to everyone. How much does a Bro Brick cost? It really depends on where you buy it. Generally, shops sell the Brick between 9-10 dollars. They for $10.50 on the Bro Brick website, but shipping is free. And of course there is wholesale pricing. Where can Bro Bricks be purchased? Tommy Gun’s, Carbon, Habitat, Alley Kat (our beer sponsor), Tangles Hair Studio, Tix on the Square, Muttart, Fort Edmonton Park, Jacek (our Chocolate sponsor), Derks, Bamboo Ballroom, Loxx, Skin Concepts day spa, Suits by Curtis Eliot, Little Brick, Junque Cellar, The Chad Smoke Shop, Mint Health & Drugs, The Briefing Room, Purple Beauty Supplies, Anex Interiors, Bugsy’s Gentlemans Barber, Totally Refreshed Steam Baths, Hairstyle Inn, From Far and Wide at Big White Ski Resort, Envogue Day Spa, Esthetics by Trudy, Yvette Moore Gallery. And of course, you can buy it from the Bro Brick website! Now I’m not sure if all these places still stock the Bricks, but these are some of the stores that have ordered in the past. What scents do you currently make? For the Bro Brick line: Rum & Coke, Rye & Ginger, Whiskey & Chocolate, Barbershop, Leather Scrub (no leather used! ), Wasabi & Beer, Beer, Cedar & Beer, Mountain Man, Rootbeer, Coffee Scrub, Oatmeal Stout, Sandalwood & Vanilla, Cognac & Cubans. For the Chick Brick Line: Cherry Cola, Mint & Honey, Tequila Sunrise, White Chocolate & Cinnamon. I also have a Big Baby Bath Bomb. It’s for men when they are sick. It is scented with Peppermint and Menthol. What inspires the scents of Bro Brick? All of the scents are just things that I like. So the scent selection is pretty selfish. Even the Chick Bricks, I use all of them. What’s your personal favourite, and your top selling brick? My Favorite two scents are the “Rum & Coke” and “Oatmeal Stout” (which is new). The top selling brick is the Rum & Coke. It smells like cola gummies and then I include a shot of real rum to “man” it up a bit. I think it’s a scent most people can really relate to. 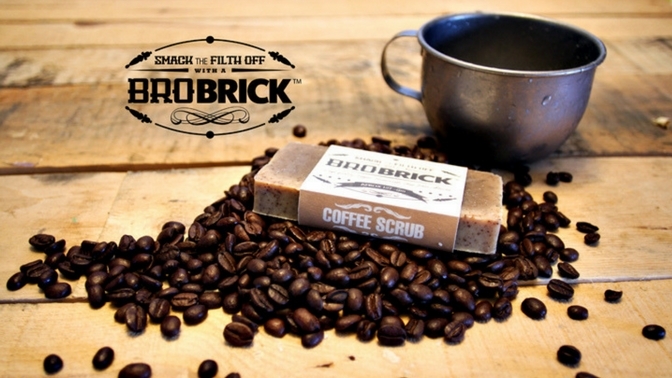 What sets the Bro Brick apart from other artisan soaps? The Bro Brick is a fun gift to buy and to use. I always picture people getting one and thinking it’s just a humorous bar of soap. But once they use it, they realize it’s a very high quality product. That’s what keeps people coming back. 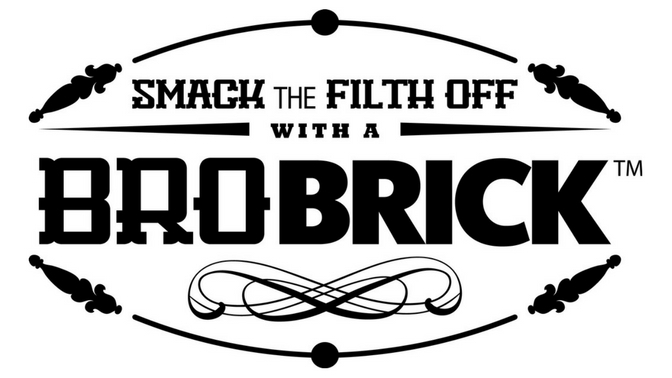 You started here in Alberta, has Bro Brick been getting good exposure across the rest of Canada, and internationally? Yes, Tommy Gun’s Barbershop picked it up, and now it’s sold in their locations all across Canada. Also, the soap was in British GQ and I’ve picked up one store in Northamptonshire, England. Also, there is one store in Iceland that carries it. I have individuals in the U.S. that order, but no stores yet. Have you gotten any interesting or odd feedback from customers, anything that’s made you laugh? I had one lady get very upset with me about the scents of one of the Bricks. She did not like it much. Other than that, it’s all been positive feedback about the quality and scents of the soaps. Edmonton has been extremely supportive. Do you plan on expanding your product line with new scents or new products? I just released two new scents, the “Oatmeal Stout” & “Sandalwood Vanilla”. My next big undertaking is going to be a beer-based shampoo. I just need to find some time to do the R&D.